Patrick Demarchelier (French pronunciation: ​[pat.ʁik de.maɾ.ʃə.lje]; born 21 August 1943) is a French fashion photographer. Born near Paris in 1943 to a modest family, he spent his childhood in Le Havre with his mother and four brothers. For his seventeenth birthday, his stepfather bought him his first Eastman Kodak camera. Demarchelier learned how to develop film, retouch negatives and began photographing friends and weddings. In 1975, he left Paris for New York City to follow his girlfriend. He discovered fashion photography by working as a freelance photographer and learning and working with photographers such as Henri Cartier-Bresson, Terry King, and Jacque Guilbert. His work drew the attention of Elle, Marie Claire and 20 Ans Magazine. He later worked for Vogue and Harper's Bazaar, first in September 1992 which resulted in a 12-year collaboration. Demarchelier has shot international advertising campaigns for Dior, Louis Vuitton, Celine, TAG Heuer, Chanel, Donna Karan, Yves Saint Laurent, Tommy Hilfiger, Carolina Herrera, Moschino, Vera Wang, Elizabeth Arden, H&M, Sam Edelman, Zara, Max Azria, Express, Longchamp, Blumarine, Lacoste, Ann Taylor, Calvin Klein and Ralph Lauren. Since the late 1970s he has shot the covers for nearly every major fashion magazine including American, British and Paris Vogue. He has also shot covers for Rolling Stone, Glamour, Life, Newsweek, Elle and Mademoiselle. He has photographed many advertising campaigns, including Farrah Fawcett shampoo in 1978, the Brooke Shields doll in 1982, Lauren by Ralph Lauren, Cutty Sark, and a Calvin Klein ad with Talisa Soto and Giorgio Armani, Chanel, GAP, Gianni Versace, L'Oréal, Elizabeth Arden, Revlon, Lancôme, Gianfranco Ferré. He was also the primary photographer for the book On Your Own, a beauty/lifestyle guide written for young women by Brooke Shields. Since 1992 he has worked with Harper's Bazaar, becoming its premier photographer. 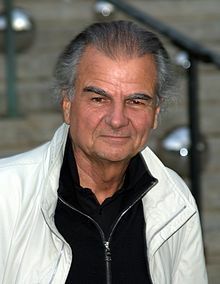 Demarchelier was awarded the contract for the 2005 Pirelli Calendar. Over the years he has helped the careers of many make-up artists like Laura Mercier, Jason Marks and Pat McGrath. Demarchelier is referenced in the 2006 film The Devil Wears Prada, when the "dragon lady", Miranda Priestly (Meryl Streep), asks Andy (Anne Hathaway), on her very first day on the job, "Did Demarchelier confirm? ", leaving her utterly confused. The first assistant Emily calmly jumps into action and calls his office, replying, "I have Patrick!". He also appears in the documentary The September Issue which is about Anna Wintour and American Vogue. He was called to do last-minute photographs for Grace Coddington after Edward Enninful were not sufficient. In 2007, Christine Albanel, French Minister of Culture, honored Demarchelier as an Officer in l'ordre des Arts et des Lettres (Order of Arts and Literature). Demarchelier has lived in New York City since 1975. He is married to Mia and they have twins. In February 2018, Demarchelier was accused by seven models who worked with him of sexual harassment. In response to the allegations, Condé Nast announced "[w]e have informed Patrick we will not be working with him for the foreseeable future." 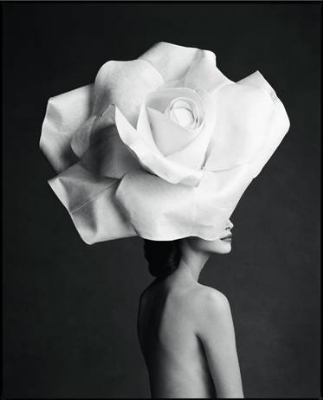 ^ "'Fashion Photography: Patrick Demarchelier (American Photography master series)' - by Kathryn E. Livingston - Book Review". Blog GlamourPhotography.co. ^ Cartner-Morley, Jess; Mirren, Helen; Huffington, Arianna; Amos, Valerie (28 March 2013). "The 50 best-dressed over 50s". The Guardian. London.